As a child with an appetite pickier than a vegan, I remember going to The Moose Preserve in Bloomfield Hills, Michigan and being amazed by the selection of interesting foods on their menu. I always went with a burger because I wasn’t adventurous yet, but as I grew up, I tried some more things. 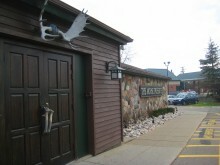 The Moose Preserve was the first place I ever tried a buffalo burger, and I loved it. In fact, at the time I tried it, I had never seen buffalo on a menu anywhere else. Despite trying buffalo, there was one thing on the menu I was always in fear of. This was the Road Kill Grill. Although not actually composed of road kill, this meal had enough strange (to me) animals on it to keep me away. On my last visit to Michigan, though, I decided it was time to take on the road kill.